A field dedicated to a theory and practice of design, development, utilization, management and evaluation of process and resources for learning. It is the process of determining where and how technology fits in the Teaching and Learning process. 1.1. Learner factors – refer to learner differences that can influence media choice. Select media that are well suited to the group size you have or, if this is difficult, modify the group or structure to media you have. 1.2. Teacher factors- refer to those factors that affect the success of media implementation. The method of instructions dictates or limit our choice of presentation media. Is it self-regulated learning method or lecture/expository? Administrative and economic constraints both limit the choice of methods and media. • Increase students’ motivation, self-esteem, self-confidence and academic achievement. • Supplies stimulating environment that encourage student involvement in the learning process. • Promotes higher-level thinking skills and student-centered instruction. • Offers students diversity, self-paced learning, and opportunities for individuals growth and self expression. • Provides students with unique opportunities to apply skills and talent and to interact with other in non-threatening environments. • Changes teacher’s and student’s role into positive directions. • Inspires student and teacher by making learning exciting and interesting. • Forests the development of leadership abilities and teamwork. • Support new instructional approaches: cooperative learning, inquiry approach, problem- based learning, project-based learning and multiple intelligence. • Provides unique opportunities for student to practice, demonstrate and critique communication skill. • Supplies information through multi-sensory delivery channels, allowing students with various learning styles to assimilate and apply knowledge. • Expand classroom “walls” and links students and teachers in national and international exchanges. • Shared vision for technology integration – this requires coordinated school district planning with teacher and other personnel at all levels, budgeting yearly amounts for technologies purchases with incremental funding, emphasizing teacher training, matching technology to curriculum needs, and keeping current and building flexibility. 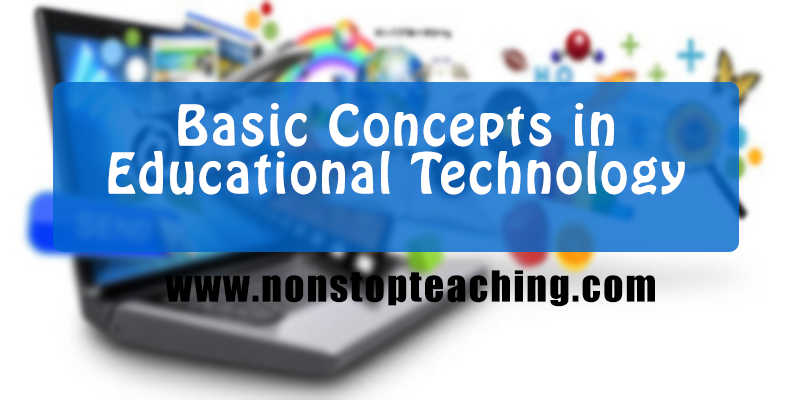 • Standard and curriculum support – technology and content area standard are designed to support each other. • Required policies – policies are in place to ensure legal/ ethical use, safe, internet use, and equity. • Access to hardware, software and other resources – there is adequate funding, purchasing procedures are organized and effective, and procedure are in place to set up and maintain technology resources. • Trained personnel- staff development that includes hands-on , integration emphasis, training over time; modeling, mentoring and approaching and post training-access to technology resources. • Technical assistance- continuing support for diagnostic and maintenance problem for teachers’ and students’ computer. • Appropriate teaching and assessment approaches - teaching strategies are matched to needs and assessment strategies are matches to the type of learning being measured. • Easy and rapid communication. • Access to expert resources and information not locally available. • Access to up-to-date information. • Easy sharing the information and product. • Support of a cooperative group work. • Support for learning information and visual literacy. 1. Does the content match the curriculum? 2. Is the content accurate, up to date, and appropriate with the students? 3. Do the materials teach and/or reinforce learning effectively? 4. Do these resources enhance instruction? 5. Is the resource easy for the teacher and students to use? 6. Are the materials of high quality technically? 7. Is the use of resource practical of my teaching setting (cost, needed equipment, etc.)? 2. Be consistent in formal, layout and conventions. 3. Use appropriate type paces and point uses. 4. Used bold and italics for emphasis, but don’t overuse them. 5. Use titles, headings, and subheadings to clarify and guide. 6. Use numbers through direct sequence. 7. Use graphics and illustration to reinforce ideas. 8. Use symbols and icons as identifying markers. 9. Use color/audio/music to stimulate but not to overpower, the senses. 10. Produce the materials with technical excellence – good quality good audio, clear etc.